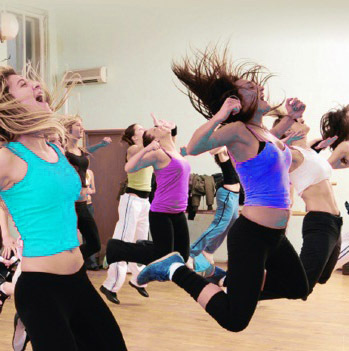 THIS DANCE SCHOOL WILL CHANGE YOUR LIFE FOREVER! 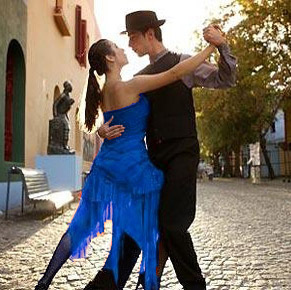 There are many choices at our Dance School…Argentine Tango Classes, Salsa Classes, Bachata Classes, Ballroom Classes, Latin American Dance Classes…take one,or take them all. 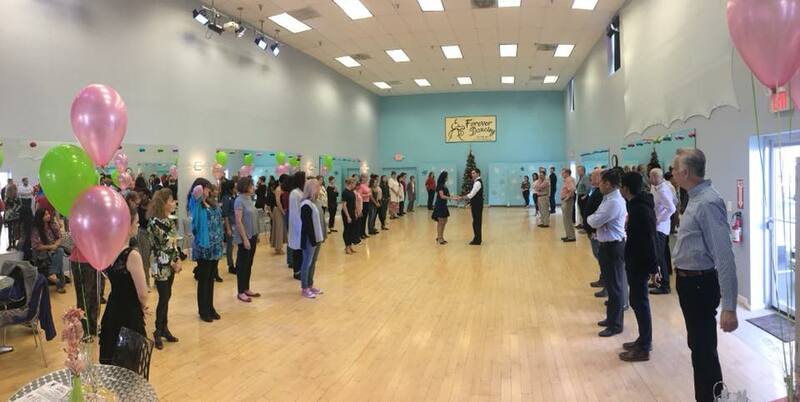 (Click here for Forever Dancing Classes School Membership!). We recommend all students to take Private Dance Lessons in conjunction with the Group Classes for a more Effective Way to Study. Are you getting married? We have a special Wedding Dance Lesson Program that will teach you to dance your wedding first dance at no time. Dance School with a super exciting workout? Join one of the unique Forever Dancing fitness program. And party yourself into shape. Zumba Classes! Four tines a week, you’ll be getting fit and your energy levels will be soaring! 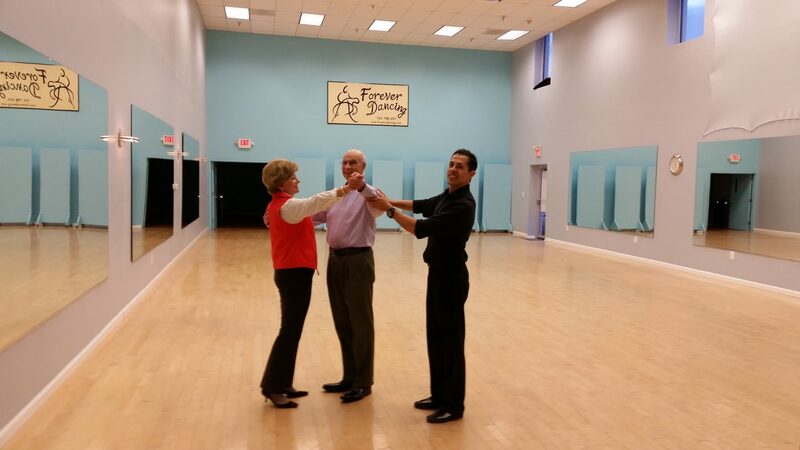 All of our classes have an easy, and effective method. They are totally exhilarating. Click the Google Rating Button (botton/right) & read the latest Forever Dancing Ballroom Reviews. We could not have been happier! Our friends and family loved our wedding first dance. They called it the “PERFORMANCE OF A LIFETIME.” We HIGHLY RECOMMEND Forever Dancing! Excellent experience all the way around. Friendly staff, beautiful dance studio, easy parking, and inexpensive considering what you get for your money. We are located at the Bailey’s Cross Roads with a short drive distance from Alexandria, Arlington & Washington, DC. We have access to public transportation. We have free parking. To see our location on google maps …(click here). For more information about our Dance School, click here! Visit our dance school virtually. Click on the links below!